Cattle brands are unique marks applied to livestock usually with a hot iron. At first glance, a casual observer could be forgiven for thinking that these are simply logos or trademarks used to differentiate one owner’s animals from another. There’s a much deeper story on display here, though. Cattle brands have to comply with their own complex set of rules, and to the initiated, they tell a story just like any consciously developed language. The earliest evidence of livestock branding is found in hieroglyphics carved in ancient Egypt around 2700 BC. In the time of the Romans, hot iron branding became ritualistic and even magical. To a modern audience, brands are best known as part of the mystique of the Old West. Cattle brands were a tool of cowboys and ranchers, a symbol of ownership and a protection against livestock theft. Brands made it easier to sort out herds when the time came to take them to market or drive them to stockyards. 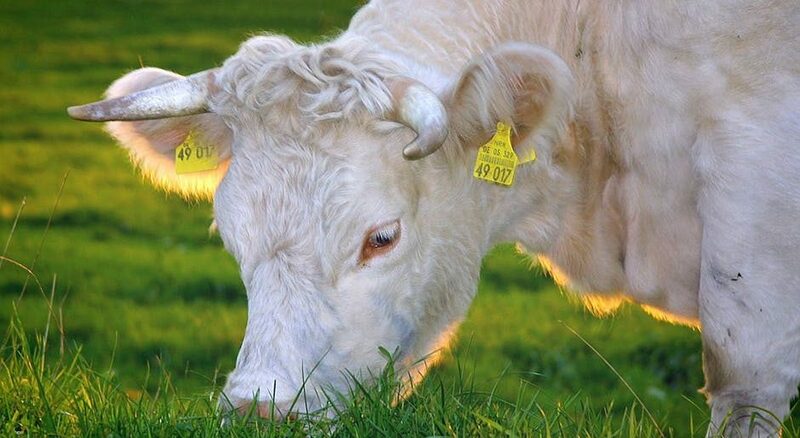 A basic cattle brand is made up of a few carefully-chosen letters or numbers. These are frequently combined with basic symbols chosen for their clarity, like lines, circles, arcs, diamonds, and hearts. The basic shapes and forms are easily complicated and further personalized by flourishes (known as “pyroglyphics”) which function similar to the way serifs do in a typeface. Letters and numbers can thus be modified by adding “wings” or “feet” to make them more distinctive. The positions of individual characters also matter; rotating or reversing a letter or number changes its meaning. There is an entire argot designed to succinctly and accurately describe the wide range of symbols thus created. Characters with wings added to them are called “flying;” those that get feet are called “walking.” A character turned 90 degrees on its side is referred to as “lazy,” while one that is completely upside down is called “crazy.” These terms are more than slang or shorthand; they’re formalized linguistic tools for translating the language of cattle brands into ordinary English. Like most European languages, brands are red from left to right and from top to bottom. In an interesting twist that doesn’t often occur in more conventional languages, brands are also read from the outside in. The complexities and subtleties of these character variations create an incredibly rich and varied language; after all, the goal is to create truly unique brands without requiring more characters than are absolutely necessary. Brands are important and their language is formalized, but that doesn’t rob the language of interest. Brands can even be created using humor and word play. While rotating characters and adding serifs are very common tools for creating a new brand, they are by no means the only options. Symbols can be combined to create unique brands. In typography, this process is called “ligature,” and the unified character created is intended to represent multiple letters. (A common example still occasionally spotted in modern typography is the “Ã¦” ligature.) When a ligature is created in cattle branding, the resultant figure is sometimes described as “connected;” some combined symbols have their own unique names. Location matters in cattle branding both in terms of geography and placement on the animal. Brand registries are typically segregated by country, so the same brand could point to different owners in different lands. 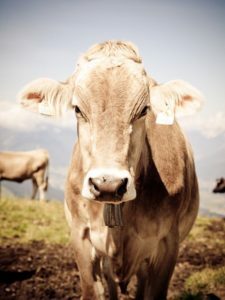 Similarly, the same brand may be registered multiple times within a country with the location on the animal being used to differentiate between owners. Just like a copyright or a trademark, a proper brand is registered, recorded, regulated, and even taxed. These taxes are important because they lend authority to a brand, allowing owners to use their brands as “prima facie” evidence of ownership. Branding is part of an established social order, and it carries tremendous weight with livestock owners. The common definition of the term “maverick,” in fact, derives from 19th century Texas rancher Samuel A. Maverick. Maverick was more interested in politics than ranching and thus never bothered to brand his cattle. This led to his name being appropriated for describing any unbranded cattle and, eventually, any sort of iconoclast. It’s no accident that the very term “brand” has been appropriated by the marketing industry. Like the well-known brands that dominate modern media, great livestock brands are simple, iconic, and immediately identifiable. A certain level of complexity is required, though, to keep cattle brands useful as a deterrent to theft. For generations, cattle rustlers have relied on a brand modification to conceal the origins of stolen livestock. 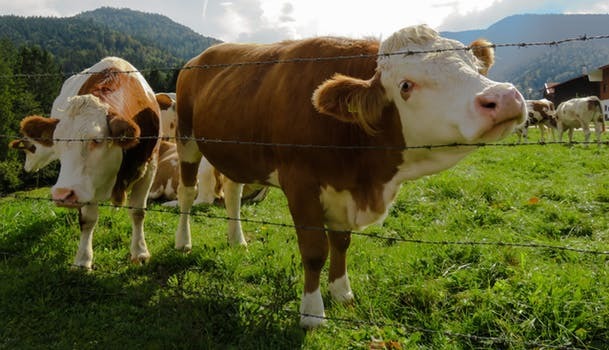 Even today, in a world of GPS tags, DNA registration, and other high-tech security tools, branding remains one of the most important anti-theft measures used by cattle owners. Livestock branding is a technique for marking livestock so as to identify the owner. Originally, livestock branding only referred to a hot brand for large stock, though the term is now also used to refer to other alternative techniques such as freeze branding.